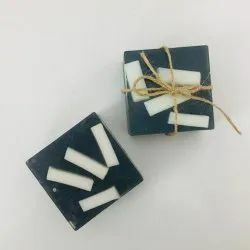 Leading Exporter of aloe vera artisan soap bar, charcoal peppermint artisan soap bar, tea tree artisan soap bar, organic coffee body scrub, anti acne face mask and grapefruit artisan soap bar from Ahmedabad. 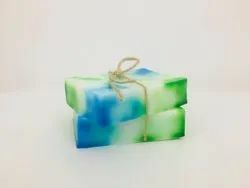 As a reputed entity of this arena, we are devoted towards providing top quality of Aloe Vera Soap Bar at very reasonable price in recommended time frame. For Soothing & Nourishing All Skin Type. This aloevera soap is very mild in texture and blended with glycerine & aloevera extract, its active ingredients helps smooth the skin texture and softens the skin. Apply on wet face & body, can be used at any time for hygeine purpose, keep the soap in a soap dish. This is an ancient Spanish recipe of soft and natural soap reinvented by Mi Nature. The Mi Nature Castile Soap has organic olive oil at its foundation along with a rich blend of organic coconut and wildcrafted hempseed oil. It’s what makes this soap 100% vegan and natural. It is free from parabens, alcohol, detergents, and petroleum-based derivatives, making it a choice to swear by, not just for your skin but also for the planet. Besides being eco-friendly, Mi Nature castile soaps are free from all chemicals and toxins. Yes, it contains potassium/ sodium hydroxide. But these are just alkali that are necessary in the castile soap making so that no foaming agents are used. After saponification of all essential oils into soap, potassium hydroxide doesn’t remain. Mi Nature tea tree bathing bars are hand made soaps made with finest quality ingredients, amazing fragrances and extracts. 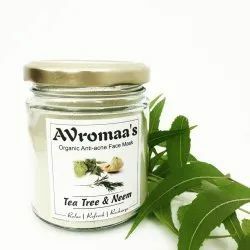 Tea tree oil gives antibacterial effect, fresh feel to skin, soften the skin, nourishes and revitalise the skin. For all skin type. Cocoamido Propyl Betain, Sodium Palmitate, Sodium Lauryl Ether Sulphate, Sodium Stearate, Glycerine, Sugar, Soap Noodles, Aloe Vera Extract, neem oil, Tulsi Oil, Purified water. 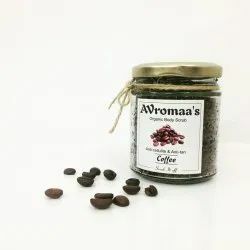 •Coffee bean Scrub act as Powerful Antioxidant. •Minimizes as well as fades dark spots and reduces wrinkles. •Restores skins firmness, rids puffiness and tightens as well as tones skin. Effective cleanser: Mi Nature Anti-Acne Face Mask prevents clogged pores with its deep cleansing action. It contains a natural form of acid, which has keratolytic (a peeling agent) and comedolytic (opens clogged pores) actions. activity, reducing inflammation due to acne-causing bacteria. It also prevents scar formation. Cleanse face and neck. Apply Mi Nature Anti-Acne Face Mask evenly all over face and neck, avoiding area around eyes. Mi Nature Anti-Acne Face Mask is not known to have any side effects. 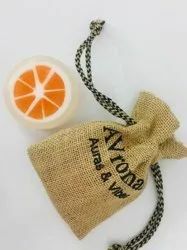 Grapefruit Soap Bar Benefits: The Fiber-Rich Fruit That Makes Skin Glow. With its distinct flavor, the powerful taste of grapefruit is not for everyone. ... Rich in antioxidants and vitamins,grapefruit extract applied topically can provide an array of anti-aging benefits like evening skin tone and fighting off free radicals..